"The World's Best CPA Exam Prep"
How Ryan Scored in the Top 10% on the CPA Exam. Pass Your Exam on the First Try, Not Second. "Best Ranked CPA Exam Prep" Review. First off, I think we can agree that it would be awesome to become a CPA (Certified Public Accountant) and make a solid salary, working with really great companies... right? But what if I were to tell you, our team can help you pass the CPA exam on the first try... yep, we can... and will. Well, it's not as hard as it sounds. Are you serious? First, however, be sure to read this entire article to the bottom to find out how; And if you have questions about the Uniform Certified Public Account Examination (by the AICPA), let us know! Today you're going to learn about how Ryan, who wanted to become an accountant passed his CPA exam on the first attempt and was accepted to become an associate accountant at a top accounting firm (Deloitte). This is no joke. He's an actual case study from the Top Test Prep CPA exam preparation team. We're so proud of Ryan's CPA exam results that he allowed us to share his story today. If you've ever heard of the "CPA" Exam also known as the "Certified Public Accounting Exam," then you want to read this story and share with your friends and family. ...And because we want to help you access best accounting firms too, we're also going to show you some top accounting interview Questions and Answers, to help you once you get that interview to become a CPA. In this case study on the CPA exam, we'll also walk you through a detailed analysis of how, you too, can prepare for the uniform CPA exam. You've got to pass this exam on the first try, so you can begin focusing on all those taxes! ....so make sure you read all the way to the bottom and contact us Too! How To Prepare for the CPA - Ryan's Story. Ryan was a typical pre-accounting student. Top Ranked CPA Exam Prep - Reviewed. Ryan took a rigorous schedule: math, calculus, accounting 101, and a variety of courses from business school on his local campus. Ryan, however, was also set on becoming an accountant one day. And he wanted to become an accountant to mid and large-sized companies at a top 4 accounting firm, like his mother had been for 30+ years before him. So first, Ryan searched for Top Accounting Firms, found our ranking of the best accounting firms, and then noted that their average and median accounting passage rates were 98% on the first try. Wow, that's a big time score... in fact, the score median at these large accounting firms was a 89 raw score. Pretty solid scores. The Acceptance rates were extremely challenging. How could Ryan gain admission? Top 4 Accounting Firms. Ranked. After researching these accounting firms, Ryan realized that in order to get accepted, he would likely have to score in the top 10% percentile, meaning he would have to not only pass the CPA Exam, but also beat the other applicants who applied. But you think it's just about passing the CPA Exam? Wrong. FACT: Several top CPA firms like Deloitte, KPMG, Ernst & Young, and PwC, want to see your scores and know how you did on the exam. Ryan only had 4 months to prepare, and little test prep guidance... until he met our CPA examination teachers. ...They knew there had to be a better way than just buying some CPA exam prep books online and hoping to study on his own. Even if he had the motivation, intelligence, and drive to succeed, the CPA examination was one of the most challenging exams in the world. ....So He found our course on the CPA Exam. "The World's BEST CPA Prep Review" - Wow, Seriously? Yes, ranked by U.S. News and several education publications. When Ryan called our CPA team, he asked two questions: "do you have a guarantee about passing the CPA exam," and "what's the median/average score improvement your pre-accounting students see after taking your course?" Great questions, Ryan... let's get started. Best CPA Exam Prep Course. Ranked by U.S. News. We actually got the same questions as we typically receive for other exams, but there was a sense of urgency, which we understood. After all, the CPA exam is the most important exam that any student had throughout their academic "careers." Ok, so you're wondering... of course, this is the part where you tell us how great your program is and how within X days he got an 100% increase in his score.... wrong! In fact, Ryan struggled on the first CPA practice exam. When he enrolled in our CPA prep program, he took more than 4 practice exams before seeing any meaningful increase in his CPA scores. More than 598 students (last year) have taken our CPA course and it took on average more than 3.5 weeks before students saw a 15% percentile increase in their CPA scores. Because our client satisfaction and CPA license results are the highest in the industry, and you need to know it does take time... but we ALWAYS get the job done, right. When you pass your CPA exam and get a job with a top accounting firm, you'll thank us for our honesty too. Once Ryan took the CPA exam, he increased his scores by 34 raw points (and more in percentiles) with the combination prescribed below. We'll tell you in a little bit about how he accomplished such an amazing feat: to get a top 10% score on the CPA Examination. ...And now, you're wondering, what worked to increase his CPA scores? Here's what he knew, that you need to know about the CPA exam. How'd Ryan increase his CPA license score to the Top 10%? The simple answer for Pre-Accounting students? Hard work. Amazing tutors. Tons of effort on all sides. After Ryan took 5 practice CPA exams, more than 8,800 CPA practice questions, and all of his 1080 minutes of private CPA tutoring, he beat the odds of a near perfect CPA score. But it wasn't luck, it was again... hard work and by taking our "World's Best CPA Course" - see below how to sign up for this CPA course..
"After 2 weeks, my score for the CPA Examination and practice questions had increased by 23 points. Within 2 months, I was already on my way to passing the CPA exam. And within 3 months, I was barely missing any questions. Thank you!" Step #1: Create a custom study plan for your CPA exam prep. Having a custom CPA study plan makes all the difference. Whether we help you or not, make sure you're studying at least 7 hours per week leading up to the actual CPA exam. You should focus on the CPA accounting prep practice questions that are easiest first and then gradually increase in difficulty until you can handle beginner, intermediate and advanced questions with ease. Step #2: set a flexible schedule that works for YOUR CPA Preparation. Having a flexible schedule - i.e. one that balances your core school work with your extracurricular activities and your CPA prep is so important. That's why we built our CPA prep on-demand course. With our on-demand course, you can watch videos about the CPA and prepare anytime you need. Step #3: Set a goal to achieve every two weeks. And don't break it. Every two weeks, you should accomplish something new on the CPA. Perhaps it's understand more complex word problems, or even being able to read verbal passages 10 seconds faster. Whatever your goal - small or big - achieve it by setting goals and reaching them. Step #4... Oh, and Ryan took the World's Best CPA Prep Course. CPA Exam review by the experts at top accounting firms. All-Access to Best Accounting Firms Rankings. All-Access to "Best CPA Prep Course Videos." 8,800 Real Practice CPA Questions, including pre-med books. 5 "Best" CPA Test Prep Books. Unlimited CPA Practice Exams, Graded. + 1,080 Minutes One-on-One, Private CPA Review Tutoring. + 90 Minute Session with Accounting CPA Experts (Essays, Application Review, and Parent Interview Prep). + 24/7 VIP Support for Both CPA Tutoring & Admissions Help. ...who took the Top Test Prep CPA Course...Yes, we're proud. CPA Exam Review. Explained by CPA Experts. Who are your CPA tutors? Our CPA tutors are all trained, professionals, dedicated to helping students see major breakthroughs in exam scores. All of our CPA private tutors have scored in the top 10% for the CPA examination and worked in small, mid-size and large accounting firms before. They're all licensed CPAs. It's not. Ask yourself, how much have you spent on computers, travel, and miscellaneous entertainment in the past 5 years? Also, ask yourself, is the CPA Examination Test Prep, tax deductible... well, of course! And further, the cost of this CPA Exam Prep Course is 1/15 of your likely first year's salary at a big accounting firm. It's worth the investment. Where are your CPA tutors? Our CPA tutors are all based in America. They meet our clients online in an amazing one-on-one, online room built by our partners. It's much better than having to commute, and easier for you to work in the comfort of your living room, bedroom, or study. More than 10,000 students have taken our "top-ranked" CPA courses with accounting practice questions and on-demand video lessons. How do you have so many real practice CPA questions? Where'd you get them? We have so many real exam because we've been preparing students for the CPA exam for more than 15+ years. We've compiled these CPA questions from hundreds of past tutors, instructors, as well as from the CPA group that administers this examination. We also have partnered with other top CPA prep companies and use some of the best resources and materials available. How do you have "unlimited" CPA practice exams? Our unlimited practice exams promise is this... we have more than 20+ CPA exams in our database. The record for most number of CPA practice exams any student has ever taken in 10+ years is 15. That's right, 15, real exams. If you take all 15 practice CPA exams, we'll literally write a new CPA exam just for you. It's entirely possible, and we're ready for the challenge. How does the process work after we signup for your CPA review course? There are three steps to the CPA process. (1) Once you sign up by paying online for the CPA course, we'll send you immediate access to your secure CPA prep login, (2) Once you get access, we'll call and explain the process and walk you through, step-by-step, everything you need to know, (3) We'll ship your books and schedule your CPA tutoring, (4) Monitor your CPA accounting prep program, and (5) We'll check in once every month with you. CPA Review Course. Top Test Prep's Reviewed by Experts. Do you have an CPA score guarantee? 100%. That's right. 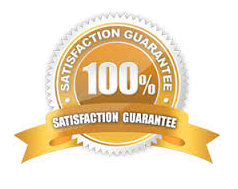 We have a 100% satisfaction guarantee. If you complete all of the CPA prep videos, complete all practice questions included in the CPA prep course, and take more than 5 practice exams (graded) and aren't satisfied, we'll allow you to take the course free, again. The good news: this has happened three times in the past 5 years, out of thousands of students who prepared for the exam. And if you don't pass the CPA exam on the first try, we'll allow you to take the course, absolutely free, again. How does your CPA Review course compare to others? Well, we are the ultimate source for all things CPA exam review. Meaning, we have all of our partners' resources so we work together to give you the best result for your CPA Exam. We do have the most resources overall for the CPA exam and our record is impeccable. CPA Review Books + Course. How Can You Sign Up for the "#1 CPA Course?" World's Best CPA Exam Review Prep (All-Access Pass). All-Access to "Best in World" CPA Accounting Firm Rankings. All-Access to 400 Real CPA Interview Questions. All-Access to "Best CPA Review Prep Course Videos." 8,800 Real Practice Questions, including top books. + 1,080 Minutes Private One-on-One, CPA Exam Private Tutoring. + 24/7 VIP Support for Both Tutoring & Admissions Help. + CPA Mock Interviews for Hiring. Backed by our 100% guarantee.